The Moto G4 and G4 Plus are expected to be launched in India on May 17. 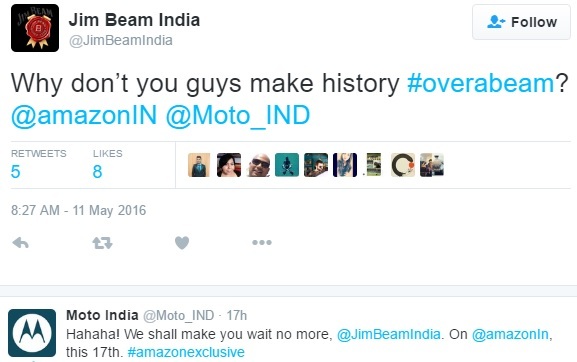 But, with the recent tweets by Motorola India’s account, it seems like both these devices will indeed be launched on May 17 and will exclusively be available on Amazon India. 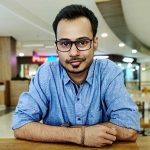 Motorola devices have been exclusively sold on Flipkart in India, but with the launch of new Motorola devices, this scenario is about to change. Motorola has scheduled an event on May 17 in New Delhi where it is expected to launch the Moto G4 and G4 Plus. 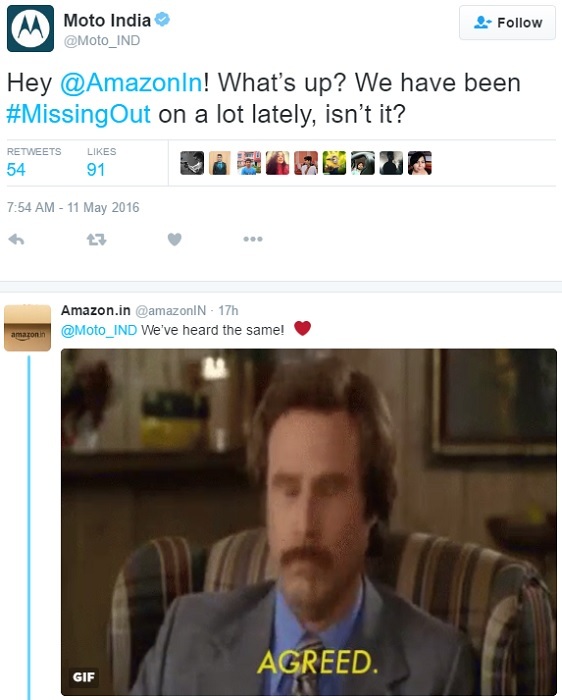 Motorola India tweeting “Hahaha! We shall make you wait no more, @JimBeamIndia. On @amazonIN, this 17th. #amazonexclusive” confirms the fact that the upcoming Motorola devices that are set to be launched on May 17 will be exclusively available through Amazon India. “Consumers are at the heart of whatever we do and we will leave no stone unturned to enhance their buying experiences as well. We have witnessed tremendous growth in the e-commerce market and it will continue to be the dominating channel for us as we bring new products to the India market. Amazon.in is the one of the best online marketplaces in India and we are glad to announce that we have exclusively partnered with Amazon India for our next Motorola smartphone.” said Amit Boni, Country Head, Motorola Mobility India. So, are you excited about the upcoming Motorola devices?